Tesla just gave the e-racing world a considerable boost after announcing the release of the Tesla P100DL and plans for its own e-racing league. The first all-electric racing car from Tesla has been revealed in Barcelona, Spain, ahead of the company’s racing championship debut next November. Electric car sports and EV mechanical championships like the FIA’s Formula E are increasingly becoming a market of their own. 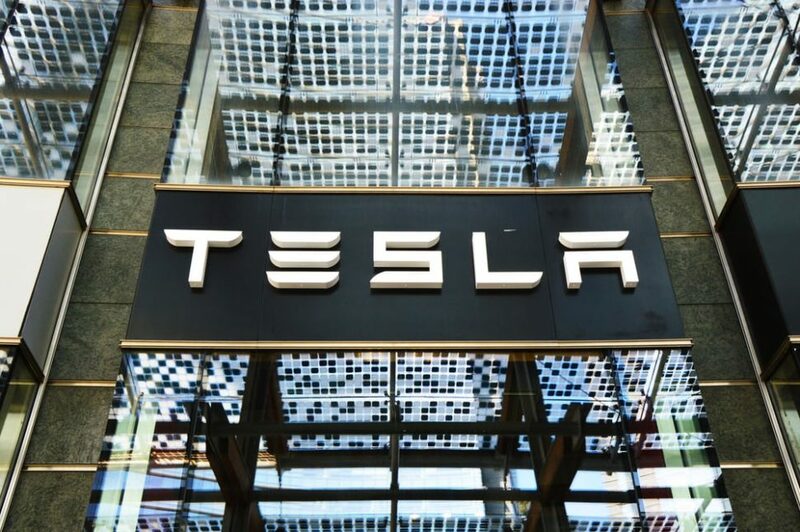 Tesla, as a trailblazer in the all-electric car industry and a leading EV manufacturer, wants a slice of the burgeoning electric motorsports pie. Earlier this year, after its Model S having passed the FIA crash test, Tesla officially obtained the green light to launch its zero-emission racing championship. An auto racing competition needs teams with track-ready cars, and now Tesla has checked this off the list too. After some hiccups and delays, Electric GT’s racing championship, the Electric Production Car Series (EPCS), looks to be back on track. Electric GT Holdings Inc. announced that the first race-ready EPCS V2.3 Tesla P100DL competition car has been delivered to SPV Racing team in Barcelona where the EPCS inaugural season will kick off next November. Upon arrival, two development drivers from SPV Racing hopped in the EPCS V2.3 Tesla P100DL and took it for a shakedown on the Circuit de Barcelona-Catalunya. Based on the Tesla Model S, the final version of the EPCS V2.3 Tesla P100DL has specs worthy of a racecar. With reinforced aerodynamics and two engines capable of producing up to 778 bhp (585 kW) and 995 nm torque of power, the EPCS V2.3 Tesla P100DL can achieve 0-100 kph (0-62 mph) in just 2.1 seconds. The race-ready Tesla has a max speed of 250 kph (155 mph) and features the largest Li-ion battery in motorsport (100 Kwh). Because safety is of utmost priority in racing circuits, the car comes with a roll cage, an automatic extinguishing system, and body panels made of high modulus carbon fiber. While the first assembled car was delivered to the SPV Racing team, all other teams — for the first season at least — will be driving identical EPCS V2.3 Tesla P100DL spec-wise. The inaugural season of the EPCS championship will consist of 10 races across several European countries. After kicking off next November in Barcelona, the EPCS will take to France, Germany, the Netherlands, England, and Portugal, before the final round of the series in Italy (Oct. 27-28, 2019). How will zero-emission autosport help the electric car industry?